Blend the instant coffee powder, vanilla essence and the boiled milk in a mixer and keep it aside. Sift together plain flour,baking powder and cinnamon powder.keep it aside. Beat together butter, castor sugar and the dark brown sugar and then add the beaten egg and whisk the mixture. Then add the plain flour mixture and coffee powder mixture to it and mix them well for 3 mins atleast. Grease the baking tray and bake in a microwave oven for 20-25 mins. (check with a skewer, inserting to the cake mixture,till it comes out clean). Meanwhile blend the cream and sugar together in a mixer for a min and keep that aside. 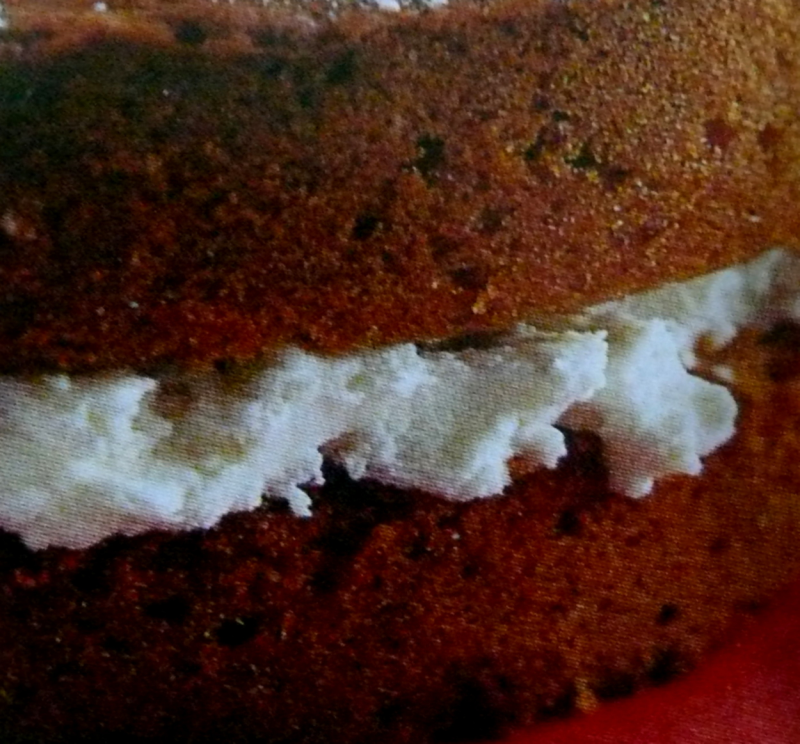 After the cake is made cut that into 2 halves and sanndwich the sweetened cream mixture in between the cake pieces. Serve them with cardamom tea (since its made of coffee powder). can we make it without eggs?